In my years of designing and selling hats I’ve met thousands (!) of people searching for that perfect hat, a soon-to-become favourite – one that feels good, looks great, and is a natural extension of their personality. Many start off with a good sense of what styles and colours appeal to them and flatter their looks; some need a little extra help in this area, especially if hat-wearing is unfamiliar territory. Aside from a proper fit, I don’t believe there to be too many ‘hard & fast rules’ – your intuition can often be your best guide. I encourage everyone, regardless of their level of experience with hats, to experiment. Trying on many different types of hats will help develop a better sense of what feels right. If you haven’t worn hats for awhile you may find that the styles and colours which once worked for you may also have changed due to a new hairstyle, differences in your face shape and colouring, wearing glasses, and lifestyle changes. Oh wait, there IS one rule: Have fun! If your ‘fear of hats’ (hatophobia?) has not yet subsided, it soon will. Choose a hat that fits you properly. This seems like a no-brainer, but I’m surprised how many people buy hats that don’t FIT. Even though you love it at the time of purchase, if it’s not super-comfortable on your head you’re not likely to be happy with it or wear it much. If you do find a hat style you love but it doesn’t fit, find out what sizing options are available. The hat should be snug enough that it won’t flop around on your head (or fall off!) or sit too low and obscure your vision. A hat that’s too small may give you a headache, not allow for air circulation, or at the very least leave an indent line on your forehead – not pretty. A general guideline: there should be room for two of your fingers to slip under the band. The PROPORTION of the hat to your overall size should also be considered: i.e. – a larger hat silhouette is usually better for larger people; smaller people find balance in a more compact hat silhouette. It’s helpful to know your head size when looking. 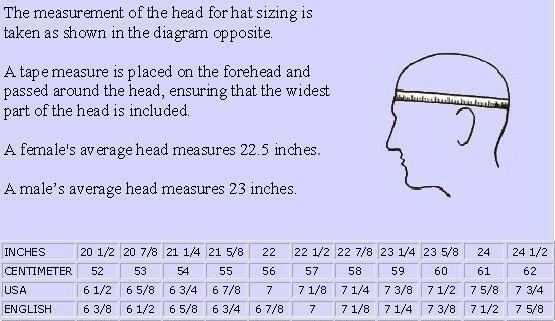 This chart shows how these measurements translate to common hat sizing. Look for a colour that brings out the best in your skin tone and hair colour. 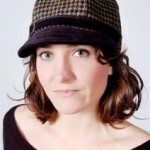 This is a very important feature as a hat frames and draws attention to the face. The colours next to your face can either flatter your skin tone by minimizing flaws and giving a healthy glow, or detract from your looks by accentuating lines and dark areas – especially around the eyes. Think CONGRUENCY when considering your best colours and patterns. I find that most often people will naturally gravitate towards the colours that look good on them – usually the same colours of the clothing they normally wear. This works well as we tend to want the flexibility of wearing a hat with lots of different outfits. 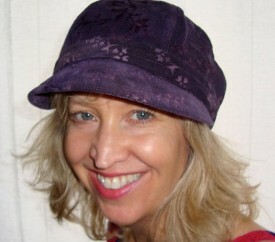 If the bulk of your clothes are neutral, hats can be a fun way to add color and a bit of ‘oomph’. Being an accessory item, a hat can also be a less expensive way to sport the latest colour trend. These hot colours for Spring/Summer have lots of ‘punch’ – it could make sense to wear them in small doses. As for pattern and texture, if you have bold colouring you can wear more vivid hues, contrasting shapes and patterns and highly textural fabrics; those with more delicate colouring usually find a more tone-on-tone palette, small patterns and smoother fabrics more appropriate. If you need help determining your best colours, this website takes you through the steps and is pretty straightforward. Now it’s time to ‘work’ the hat on your head and ‘play’ with the angle of the brim. 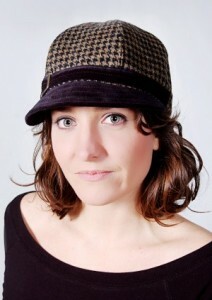 A hat can flatter the face much more when worn on a bit of a tilt. Start with ¼ inch tilt and go from there, trying the tilt to one side of the face, then the other. This emphasizes the eyes by letting in some light and helps to draw the viewer’s eyes upward. If you wear glasses, this can also give some room for the frames. Try all other possible positions of the hat on your head: sideways, forward over your brow, even backward… this is the only way to find the best position of the hat on your head, and it’s often a surprise to see that a minor adjustment can make all the difference. Different styles of hats will flatter different head and face shapes, so it helps to be familiar with your own face shape. 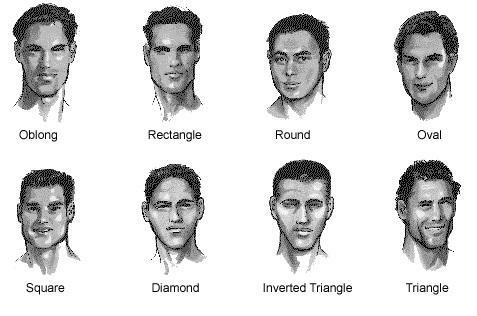 You may find a face shape chart helpful. As a very general rule, those with round faces should avoid narrow-brimmed or close-fitting hats as they will make the lower part of your face look wider. Those with longer faces should avoid a high crown as it will elongate your head. Heart-shaped faces should avoid wide-brims and baseball peaks which tend to obscure and add weight to the top half of the face while making the lower part of the face disappear. 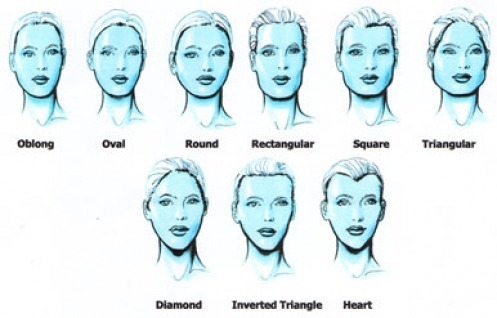 As you can see, when considering the right hat silhouette for your face shape, and the tilt or position of the hat on your head, it’s all about BALANCE: how the overall hat shape balances with your own face shape. Consider other physical traits such as your height, weight, body proportion, neck length – does the hat provide balance and create a harmonious look with your body type? Try to get a full-body and back view of yourself in the hat. Don’t be afraid to ask another person for their feedback. Friends, family, and even strangers passing by most often get a kick out of being asked for their opinion.